Threats of physical or verbal aggression is NEVER acceptable, under any circumstances. Sometimes they can be explained due to an individual being severely unwell but this does not mean our own mental and emotional health is not affected. Geoffrey Ahern gives an unmissable presentation on managing these behaviours with de-escalation techniques and recognising when an individual is at risk of harming themselves or others. Very informative and interesting. One of the best lectures I have ever heard on this topic. 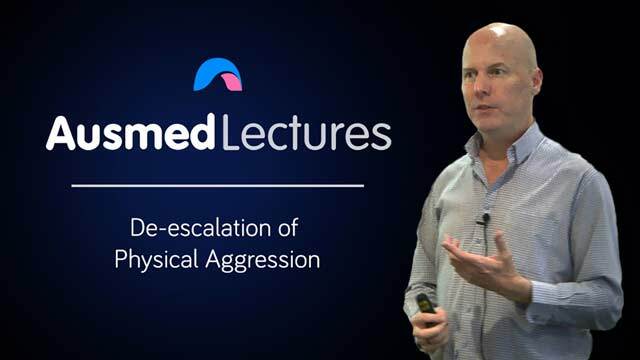 Great information with explanation of how this happens and what we can do to prevent but also how to handle it when these situation around aggression happen. I found this a very practical and engaging lecture. Enjoyed the lightheartedness of the lecturer and the content stimulating. Great overall.